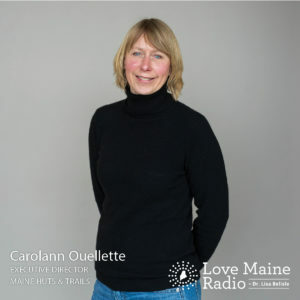 Carolann Ouellette joined Maine Huts and Trails as executive director in January of 2017. Previously, Ouellette served as director of the Maine Office of Tourism. Under her leadership, Maine has benefited from multiple years of consistent growth in tourism. A graduate of Cornell University’s School of Hotel Administration, Ouellette was previously chef and owner of an award-winning Maine restaurant in Jackman.